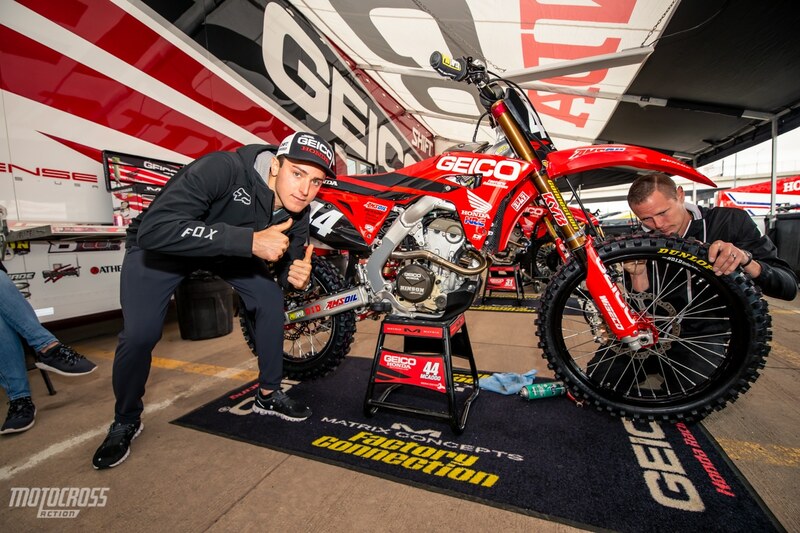 Cameron McAdoo jumps in for a photo with his Geico Honda. 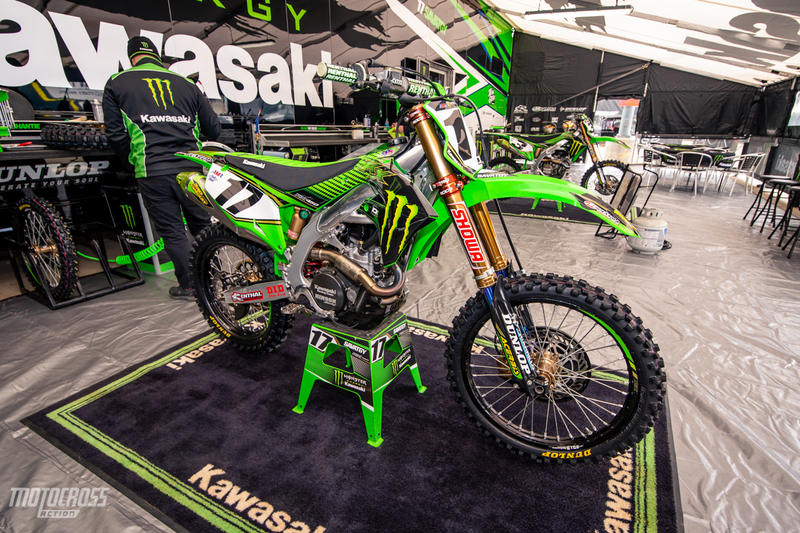 The 15th round of the 2019 Supercross season is here and for the second week in a row we are at a new venue. 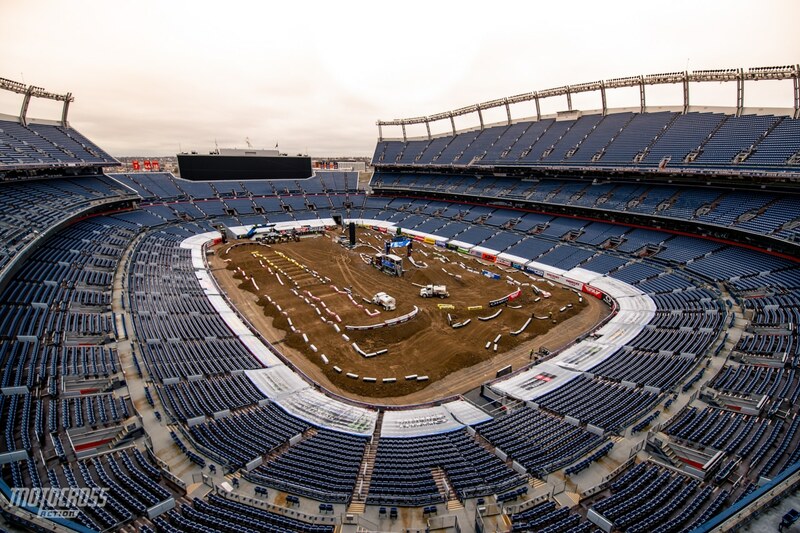 Whenever a new venue is introduced to the 17-round Supercross season, this means that another venue has to be clipped. To add in the Mile High city of Denver, Colorado, Feld removed Salt Lake City, Utah, from the tour. Salt Lake City is also at high elevation, but not quite like Denver. Denver is 5280 feet above sea level, while Salt Lake City is 4,\226′. The current weather Saturday morning in Denver is a cold 32 degrees with a 48 degrees being estimated as the high for race day. Unfortunately it will be hard for the riders and fans to warm up as it is another outdoor stadium. 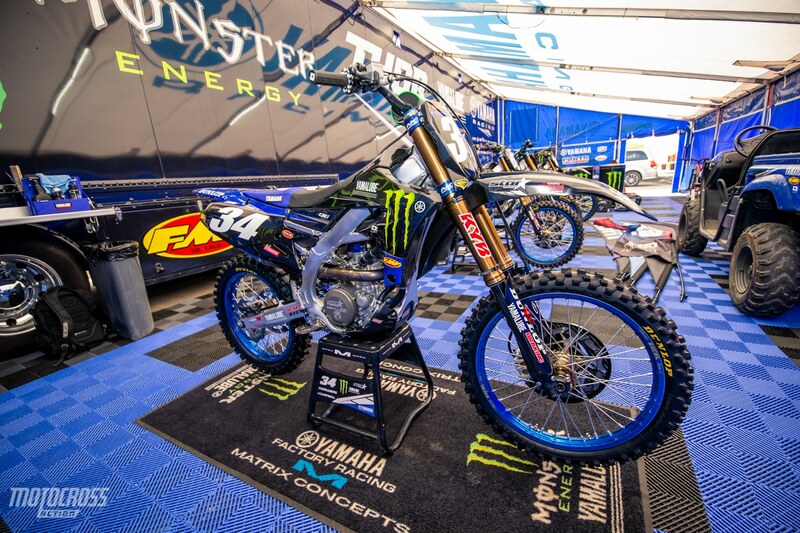 We had our photographer Brian Converse browse the pits and check out what’s going on inside of the factory tents as they get ready for a chilly day of Supercross racing. 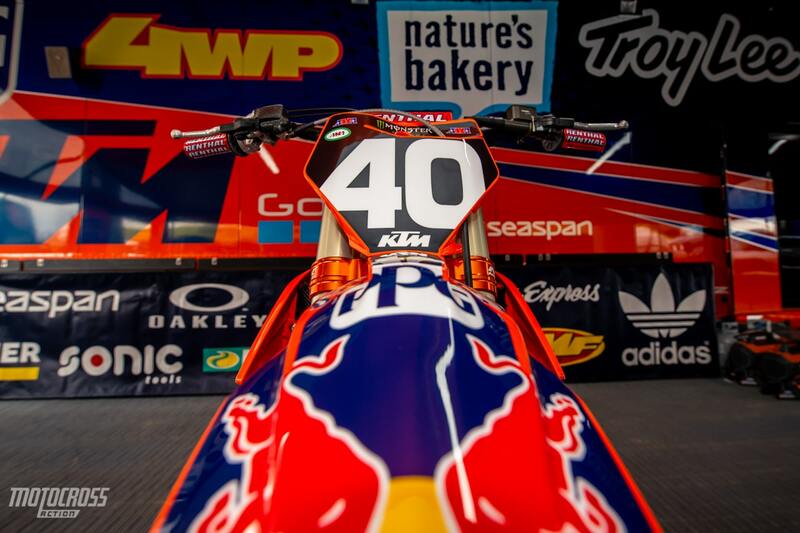 Here’s a unique perspective on Sean Cantrell’s KTM 250SXF. Previously known as the WP Trax shock. 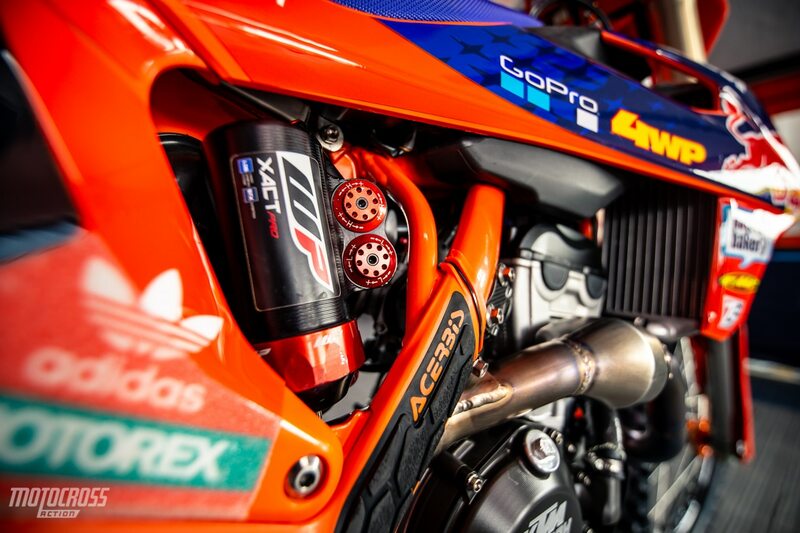 This is the new WP XACT Pro shock. It has been updated and given a new name. 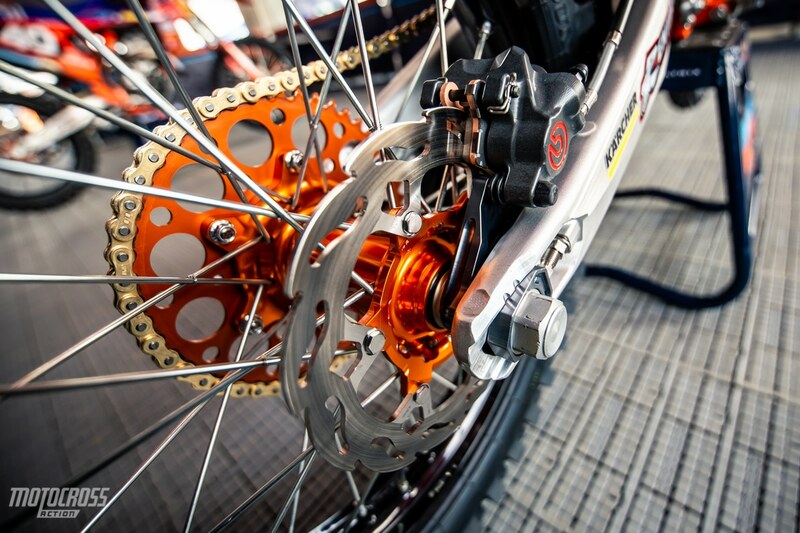 Up close on Mitchell Falk’s Brembo rear brake and MotoMaster brake rotor. Mitchell’s brother, Hunter Falk actually works for the team as his little bother’s mechanic. They have a cool program going. Supercross in Denver means racing at high elevation. High elevation means less air, less air means slower bikes. Here the Geico Honda team plugs their computer into the Honda’s ECU to get the details on how the bike is running and then they’ll decide what needs to be adjusted for the best to run to the best of it’s ability. The Mile High Denver stadium from above. All of the teams had their walls zipped up on Friday to keep their tents as warm as possible. Most of the teams tents had a clear wall so you could see in, but the Star Racing Yamaha team chose a solid blue cover with no windows. 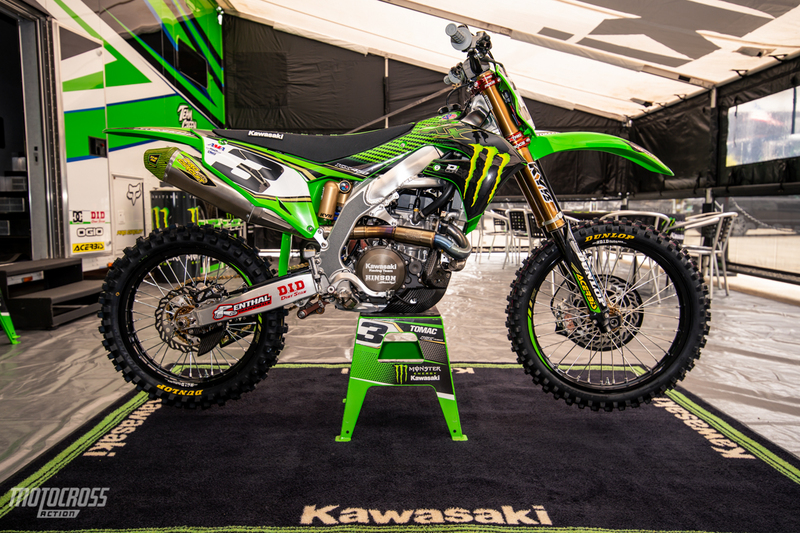 The 250 West Coast Points leader, Adam Cianciarulo’s KX250. 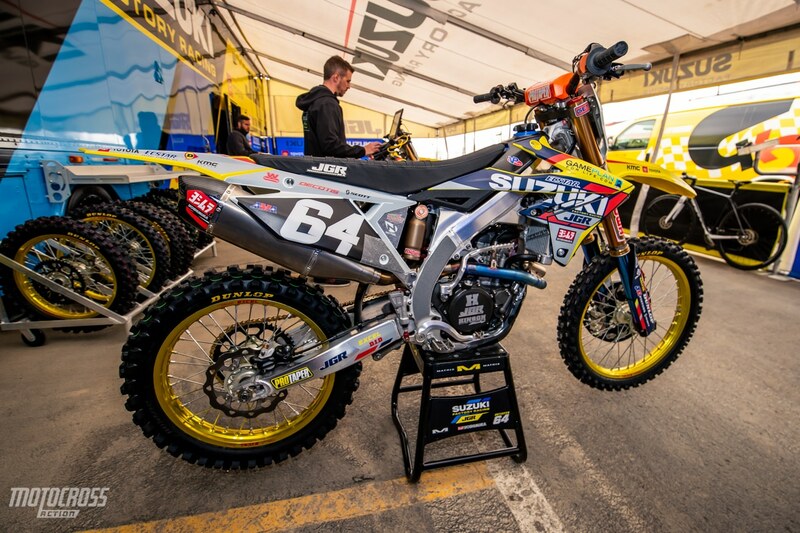 The JGR team adjusts the mapping on Enzo Lopes’ RM-Z250 to be ready for racing at high elevation. We’re starting to get used to seeing the #2 with red backgrounds again. 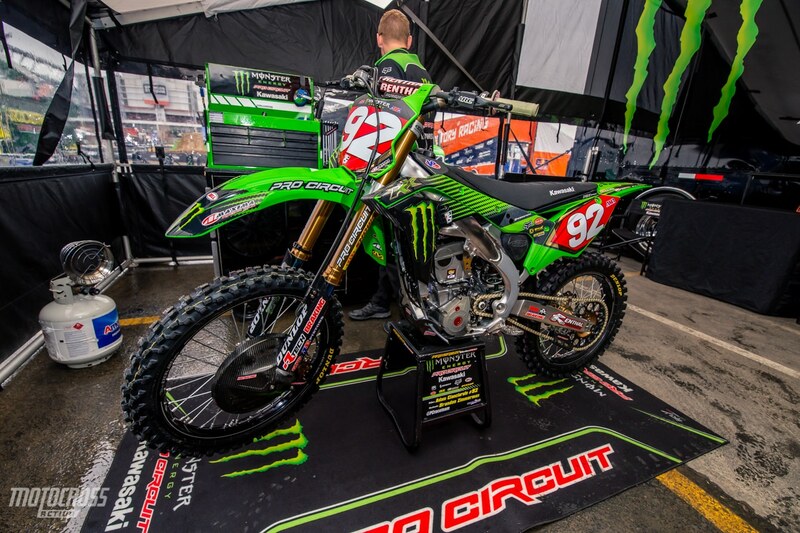 Eli Tomac is now tied with Marvin Musquin for second place in the 450 Championship, but they are both 21 points behind Cooper Webb. Coming into Denver, Dylan Ferrandis is on a two-race win streak and he’s only five points behind the points leader Adam Cianciarulo with two more races left. Garrett Marchbanks was at Glen Helen practicing on the outdoor track on Thursday and now he’s in Denver racing Supercross on Saturday. 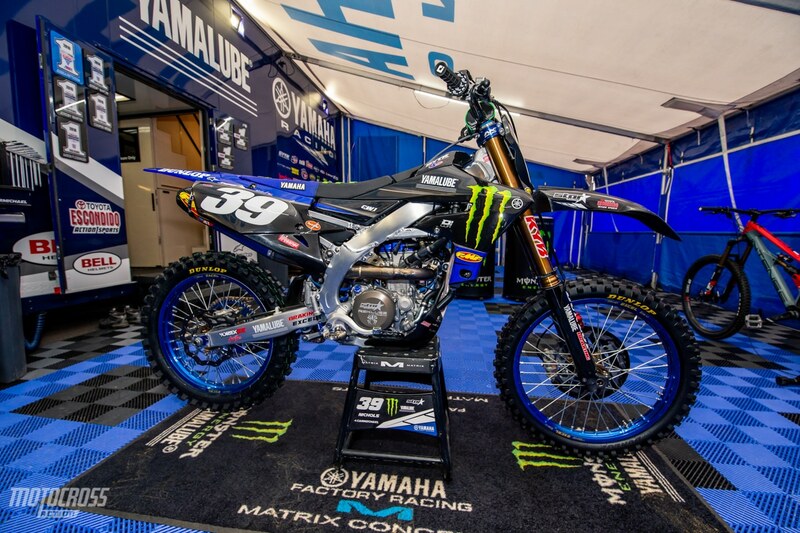 Now that we are getting closer to the end of the Supercross season, all the Pros are starting to test their outdoor setup to get ready for the Pro Motocross season opener at Hangtown. 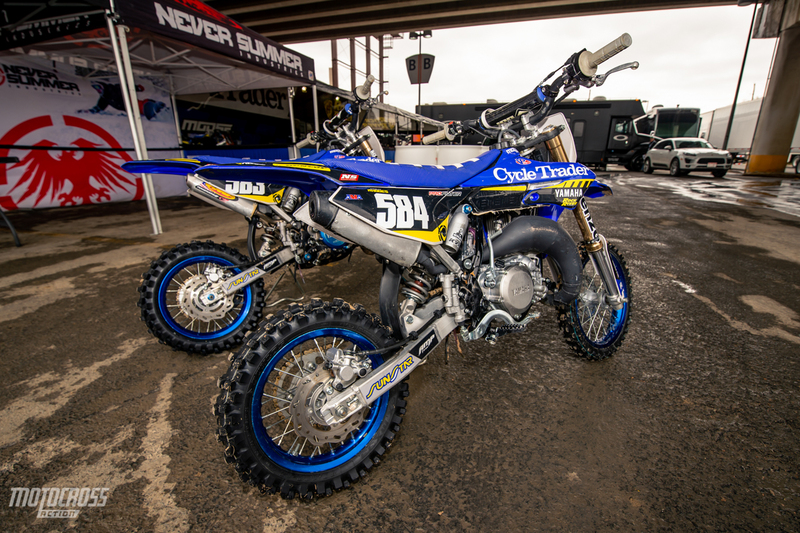 The Cycle Trader Rock River Yamaha team has had some cool Yamaha YZ65s on display at the races. 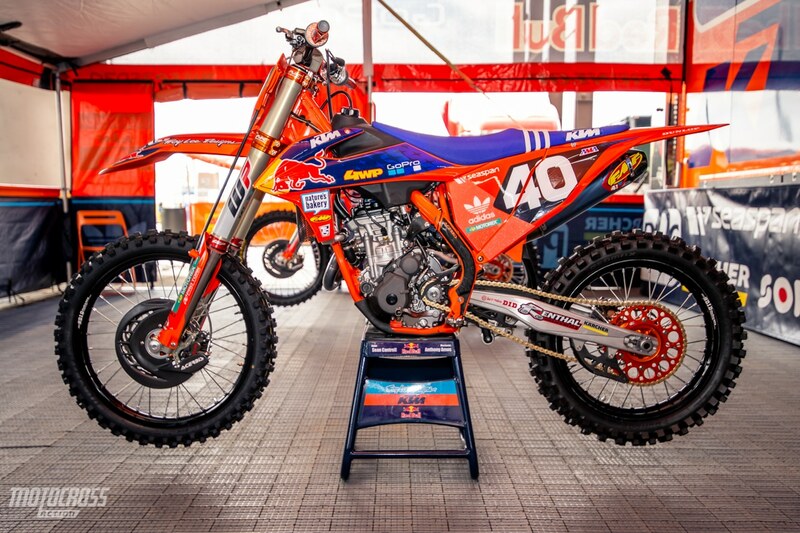 Sean Cantrell’s Troy Lee Designs Red Bull KTM from the left side. 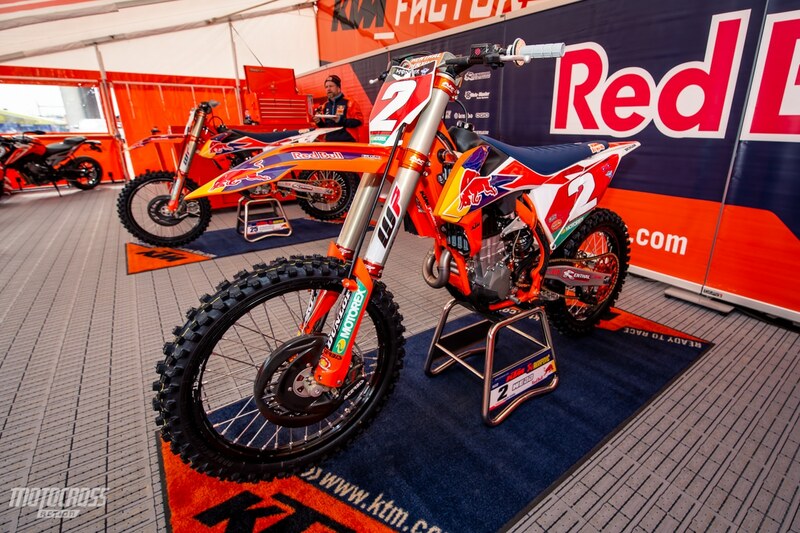 Marvin Musquin’s factory Red Bull KTM. 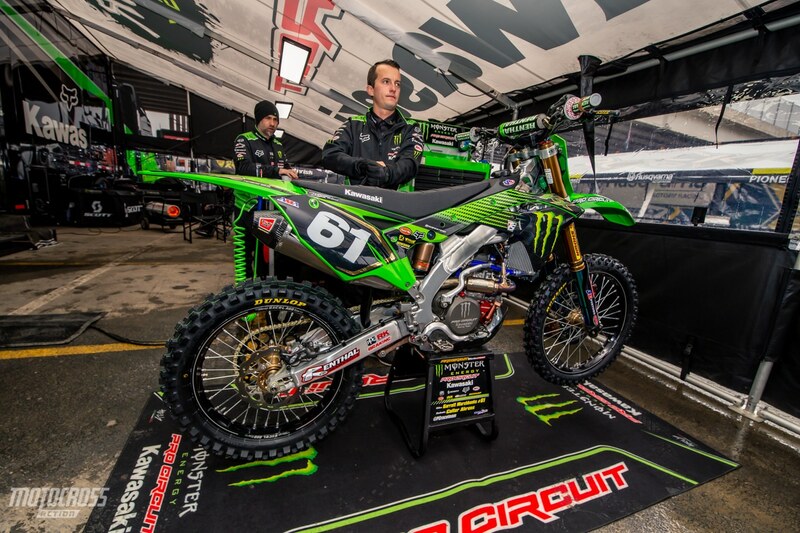 Chris Blose and his teammate Justin Starling raced in Nashville on 450s last weekend. Chris finished 11th and Justin finished 15th in the 450 main event. 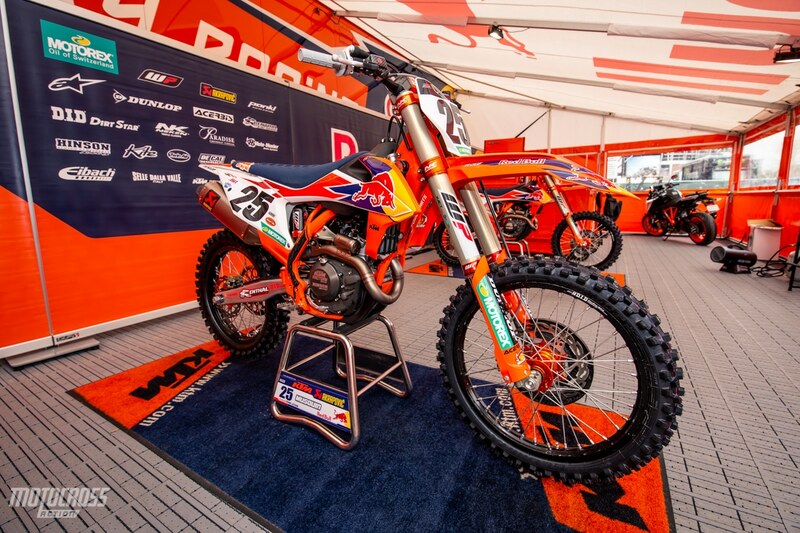 Now they are back on their 250’s to compete in the 250 West class in Denver. 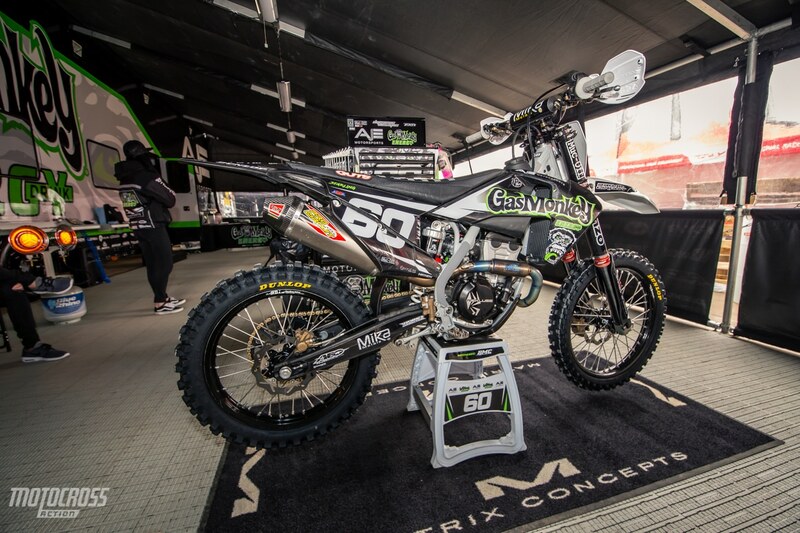 Justin Starling’s Gas Monkey Energy AJE Husqvarna. 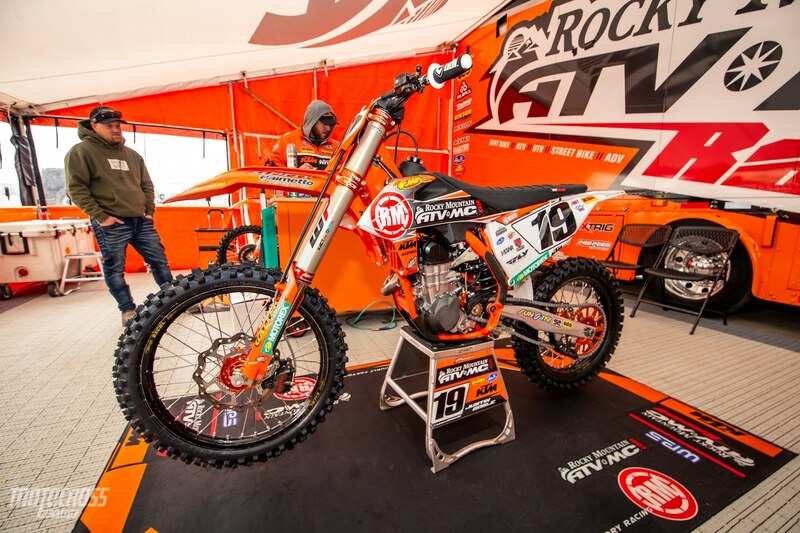 Justin Bogle’s Rocky Mountain ATV-MC KTM. Click here to watch our interview with Justin from press day.